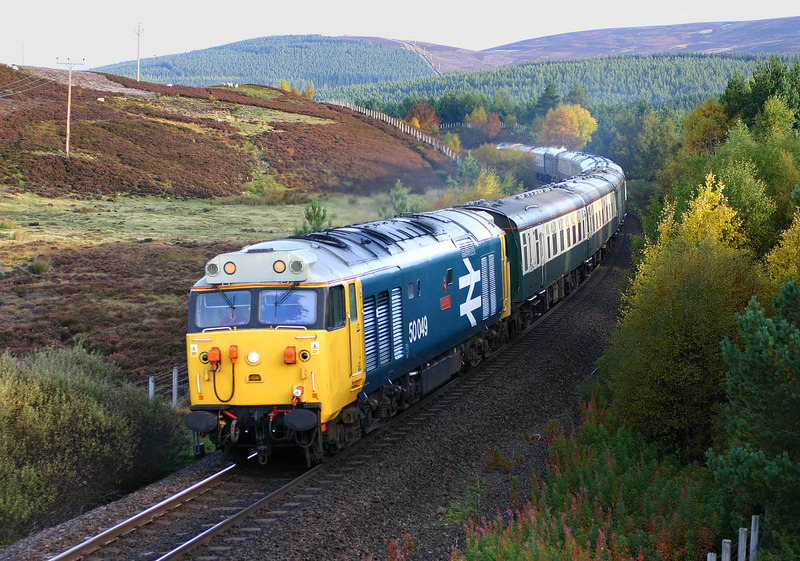 50049 Defiance passes Tomatin on 8 October 2007 with the Railway Touring Company 1Z55 08:20 Inverness to Kings Cross 'Autumn Highlander' railtour. The sun was just starting to come out, which was not ideal, as the trees were still casting a shadow at this time of the morning. 40145 East Lancashire Railway is on the rear of the train.